Broken Bells may not supersede either Mercer's or Burton's respective main gigs, but as a side project that felt implausible to hit as markedly as it has in the first place, it's a minor victory for both parties involved. When word broke that maverick producer Brian Burton (a.k.a. Danger Mouse) and indie pop darling James Mercer of the Shins were working on a project together, it was bound to raise a few eyebrows. While Mercer, ever the perfectionist, has earned a reputation to match his pain-staking work ethic -- releasing only three complete albums with his band in the past decade -- Burton has kept himself ceaselessly busy since the blow-up of The Grey Album, the 2004 Beatles/Jay-Z mash-up that brought his first taste of acclaim, his prolificacy undeterred by his refusal to simply settle down. Renown as the primary purveyor of the singular vision that drives the Shins, Mercer's gifts feel tirelessly refined, seemingly averse to teamwork, whereas Danger Mouse's talents feel built for a collaborator, lying in his ability to enhance the quirks inherent in his partners. This may have set Broken Bells up as the most unlikely of pairs, but in spite of the odds (or perhaps because of them), they manage to make it work, a quiet little surprise for those invested in their 2010 self-titled album. Eschewing the singer-songwriterisms that dominate much of Mercer's work with the Shins, Broken Bells place less emphasis on lyrics and instead concentrate on mood and atmosphere, in what initially appears to be a nod to Danger Mouse's forte. 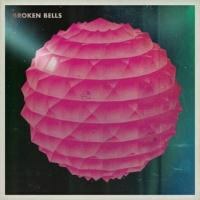 What's remarkable about Broken Bells though is how it never feels like a cheap hodgepodge of their previous individual work, avoiding crass cut-and-paste techniques by feeling like a genuine collusion of strengths, where the whole equals more than the sum of its parts. Mercer's bending, twisting melodies are a surprisingly apt fit for the gauzy, dense soundscapes Burton constructs, and the shards of words that catch hold -- while not the central character -- serve to create impressionistic images that amplify the final effect. Where Mercer's songwriting prowess forces the aural environment to wrap itself around his chewy vocal lines, Burton's auteur stance helps Mercer to focus, expediting a normally grueling process for the Shins frontman. This doesn't always lead to flying successes, however, and the album's dominant themes spread themselves thin in places, such as the bland, punchless stretch around the record's middle mark. When Mercer and Burton are on point though, it works, and works well: opener and lead single, "The High Road", proves the perfect vantage point, its minor-key melody, noodly synths and clapping percussion providing an ample bed for the soaring, swelling chorus. Elsewhere, on the Beach Boys pastiche, "Your Head Is on Fire", Broken Bells get weird without getting offputting, a choral, ethereal refrain swirling around its loping verses, while on the album's stand-out track, "The Ghost Inside", the duo meet in a perfect harmony of bubbly hooks and hazy atmosphere, strings pushing Mercer's melodies and pinched falsetto into immaculate sync with the choppy rhythms that support it. Following the aforementioned turgid missteps midway through the record, things bounce back with the plinking chamber pop of "October" before ending on a high note with the stinging, crisp guitars that punctuate "The Mall and Misery", ringing out with spacious clarity as the disc comes to a close. Broken Bells may not supersede either Mercer's or Burton's respective main gigs, but as a side project that felt implausible to hit as markedly as it has in the first place, it's a minor victory for both parties involved. While fans hold their breath in anticipation of the next Shins record, and prepare themselves for the official release of Danger Mouse's Dark Night of the Soul project this summer, you could do much worse than to tide yourself over with Broken Bells. It may not be the masterwork both of these talents are capable of, but it's a mini-triumph on its own, and that's worth celebrating.